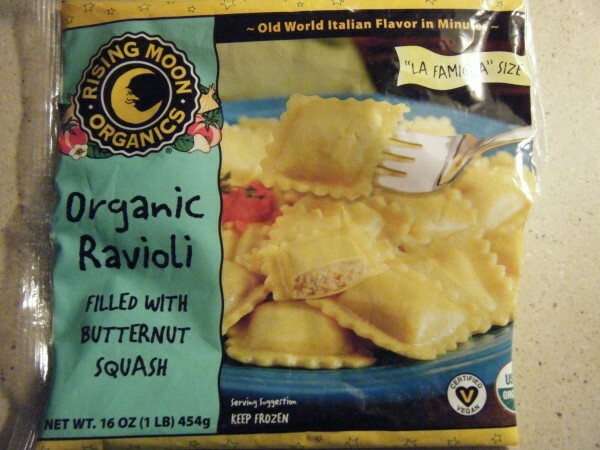 Rising Moon Organics Butternut Squash Ravioli is certified vegan and delicious. I like to saute some vegetables like mushrooms, onions, garlic in olive oil and toss in the ravioli after it is cooked. It really makes a nice meal.